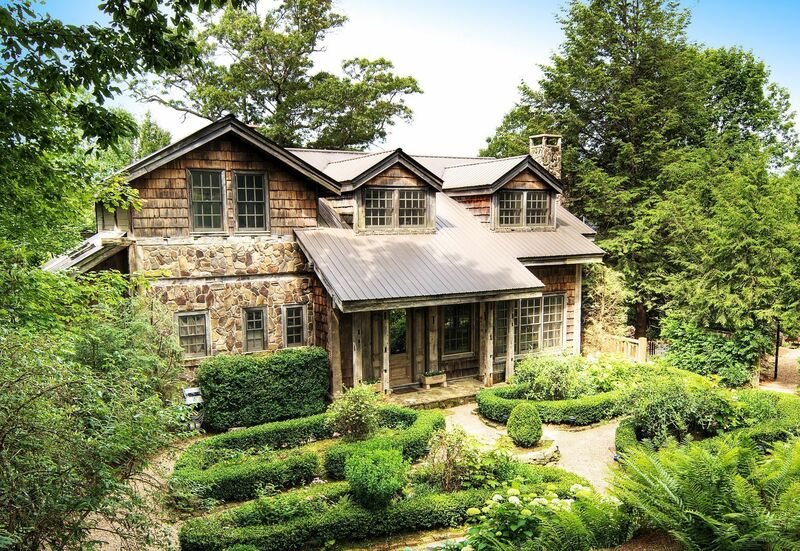 Located only minutes from Main Street in the desirable neighborhood of Highgate, this incredible custom home in Highlands NC, with unique and luxurious finishes, affords a spectacular view of the surrounding mountains. 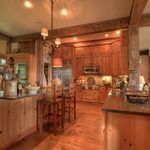 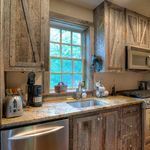 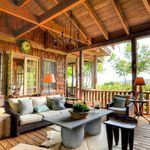 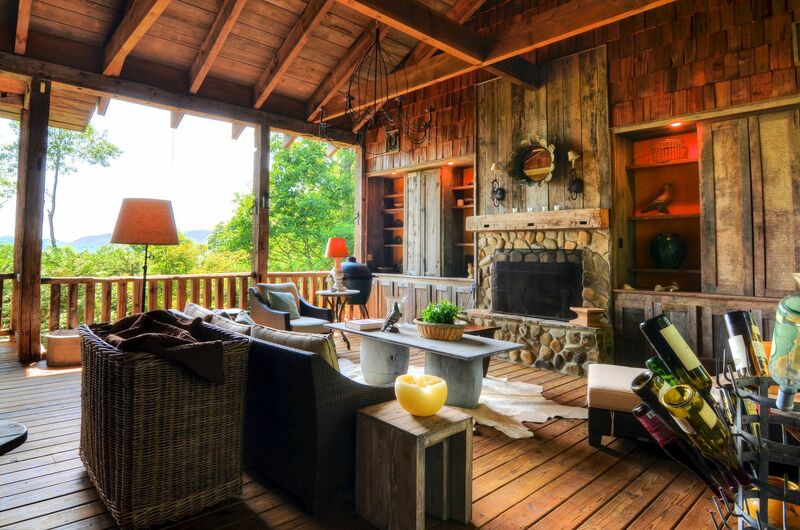 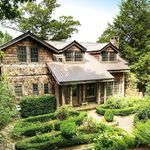 Constructed from reclaimed barn timbers which were dismantled, numbered and shipped from Pennsylvania, this is the true epitome of a mountain home. 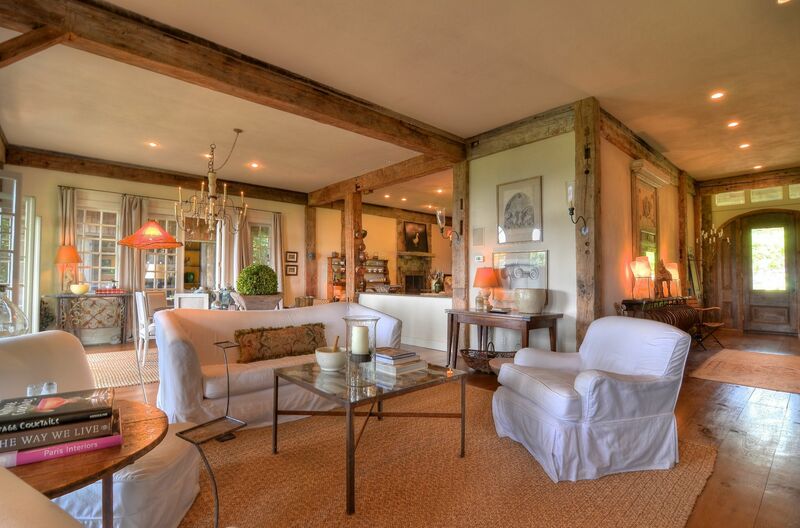 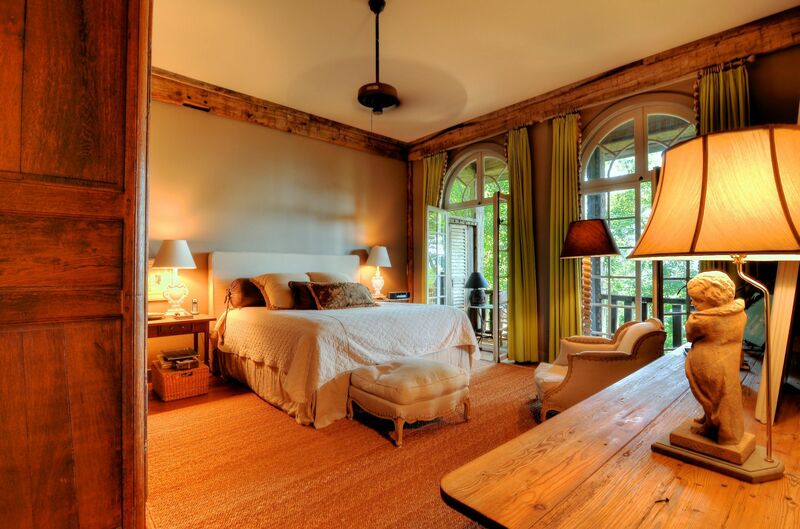 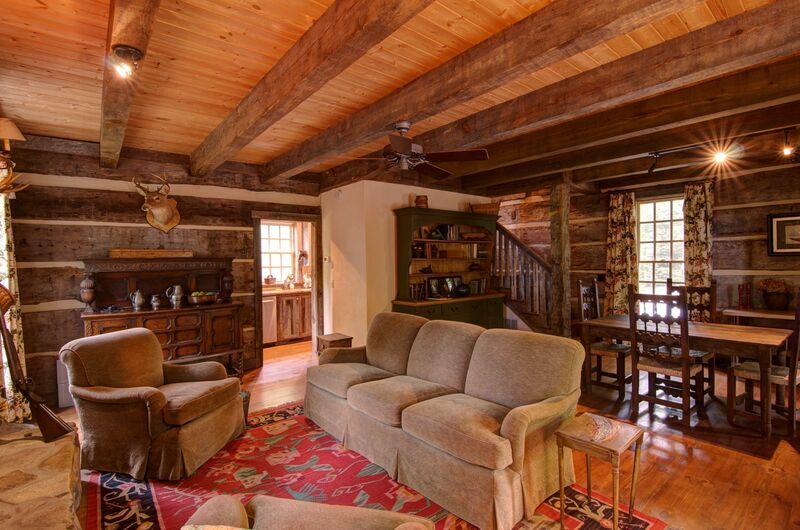 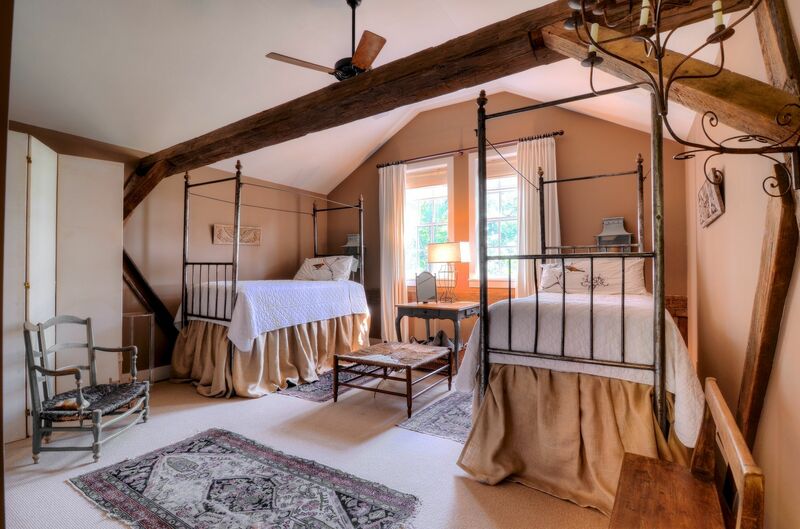 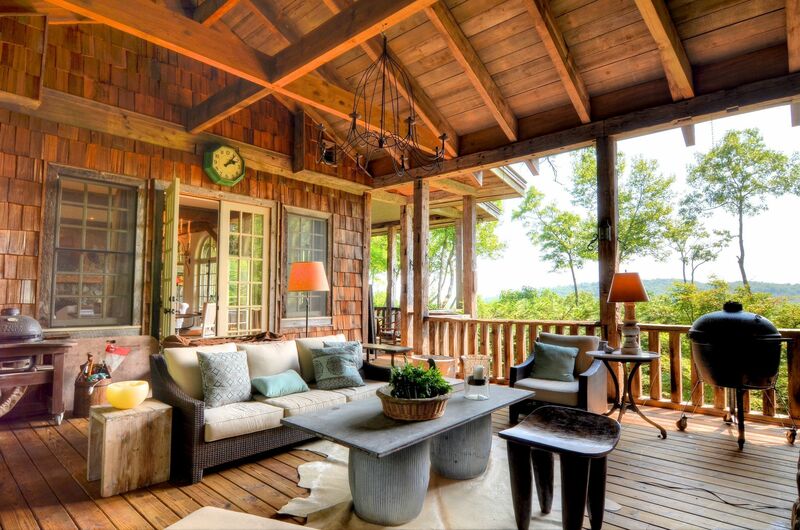 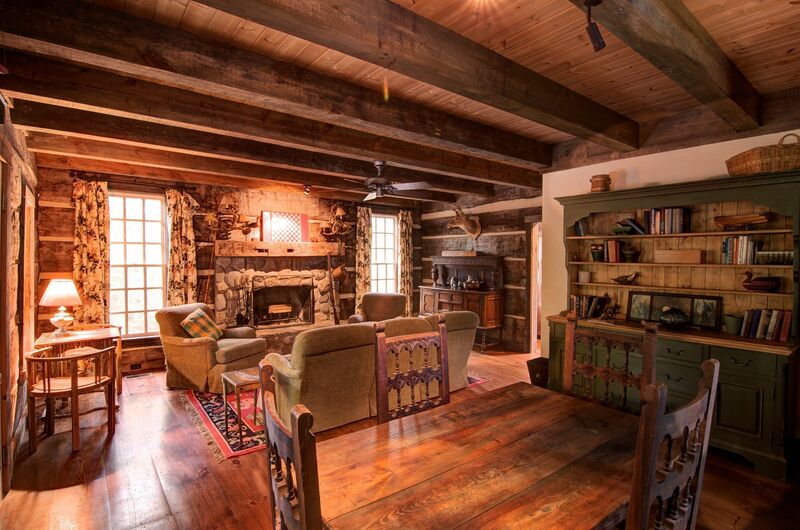 From beams to reclaimed hand crafted wood flooring, this home has taste and mountain style. 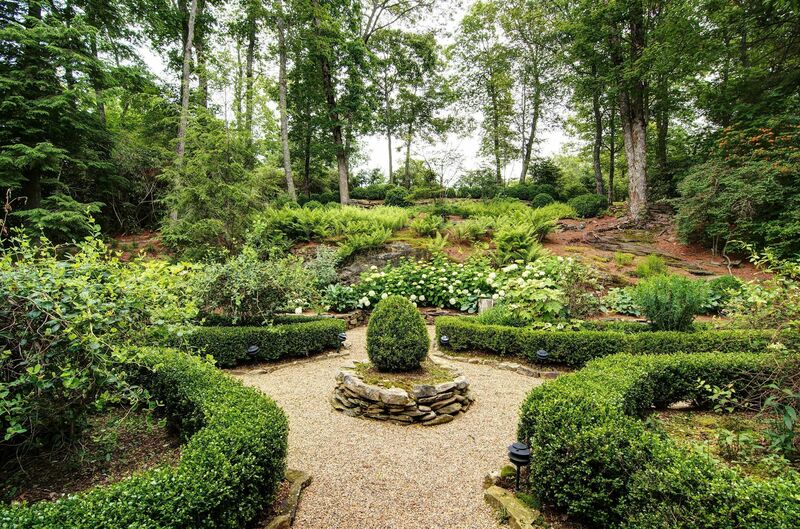 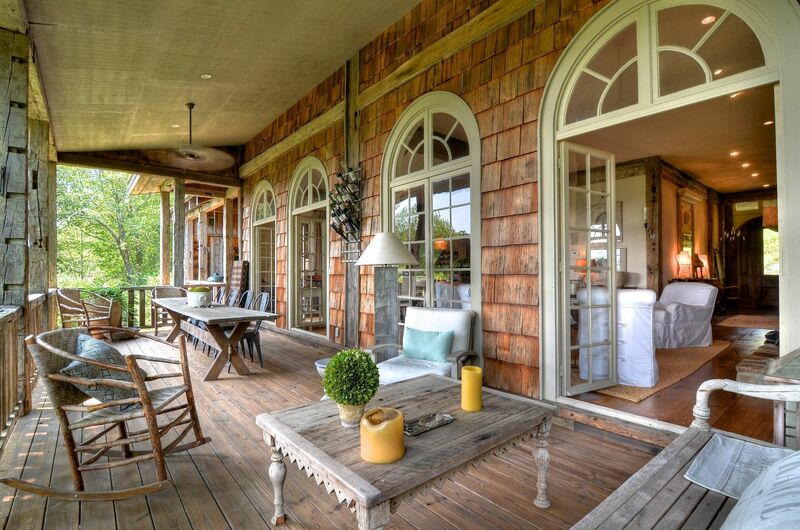 A beautifully landscaped English garden courtyard leads you to the carved front doors. 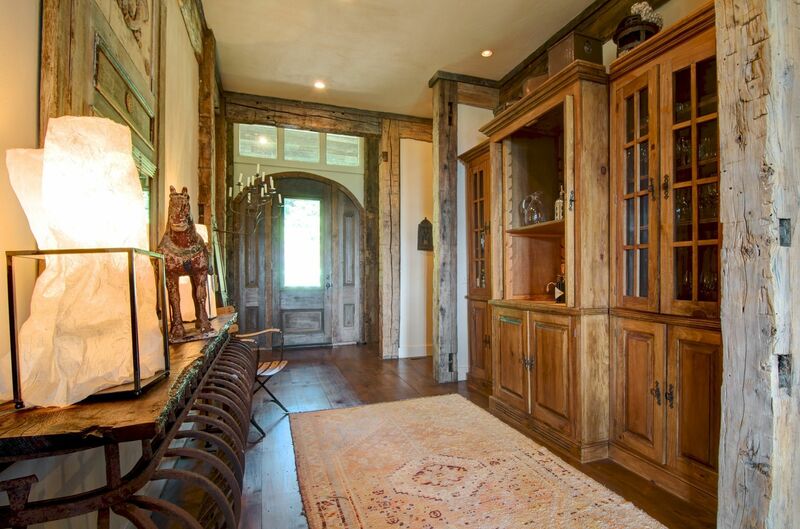 On entering the wide foyer, the exquisite carving continues with a beautiful frieze to your right and antique cabinetry which hides a wet bar to your left. 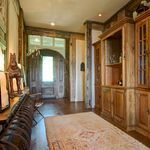 Ahead is the great room with native stone fireplace and four floor to ceiling Palladian windows which were imported from France. 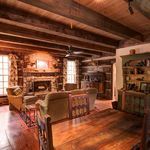 The great room naturally flows to a wrap-around covered deck and outdoor living area with another stone fireplace plus hand crafted beams and cabinetry, perfect for enjoying the sunsets and cool mountain evenings with family and friends. 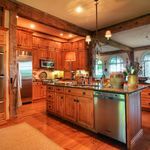 The beautifully appointed gourmet kitchen with its stainless steel appliances and granite countertops is just off the great room. 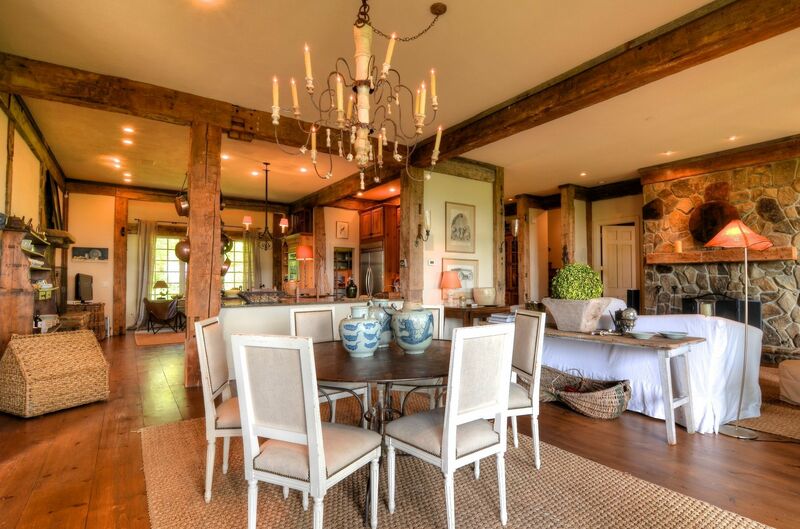 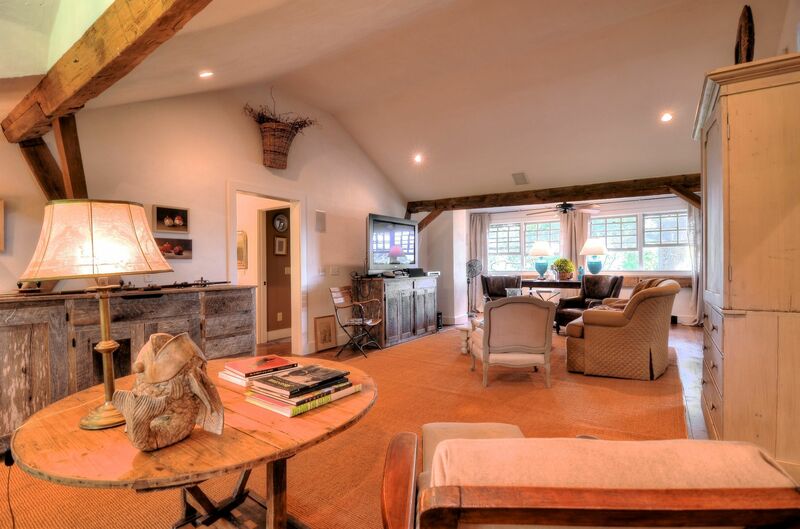 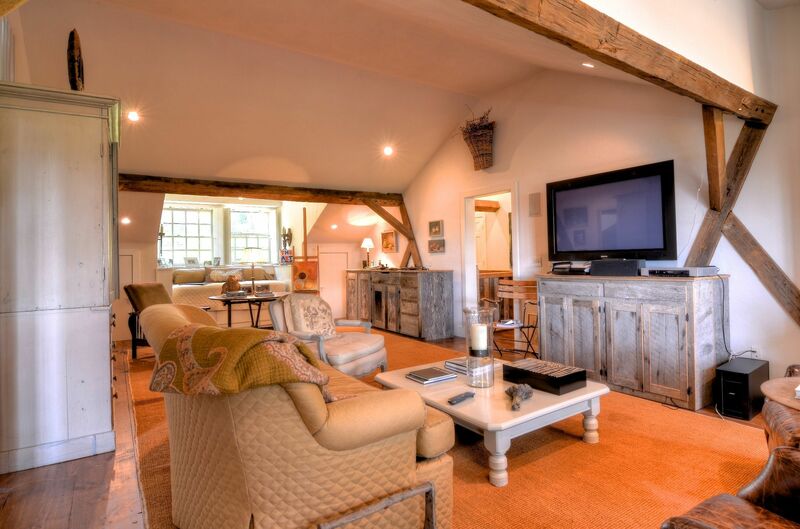 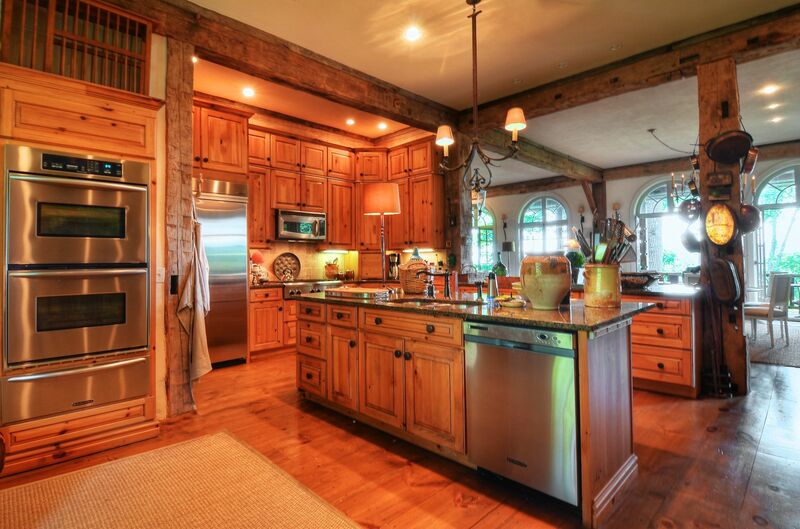 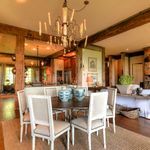 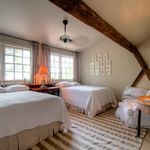 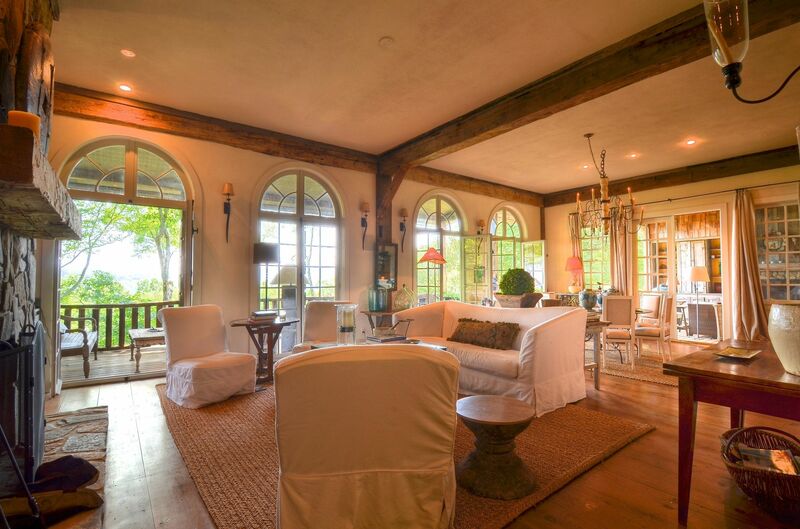 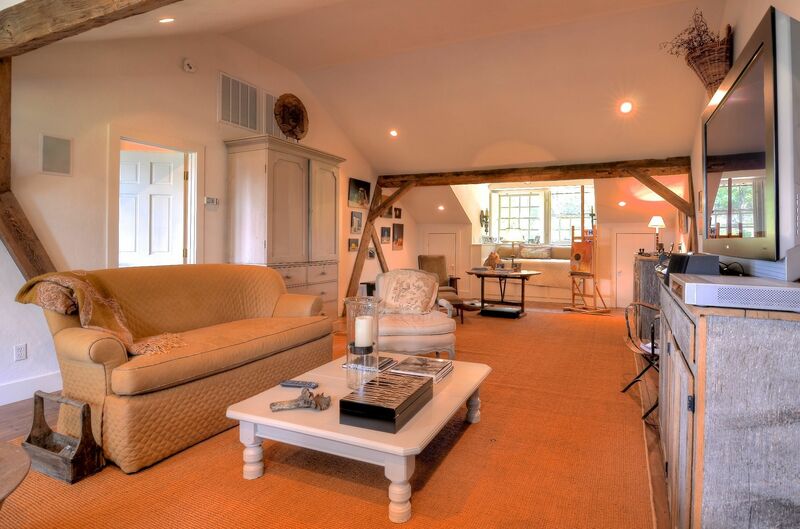 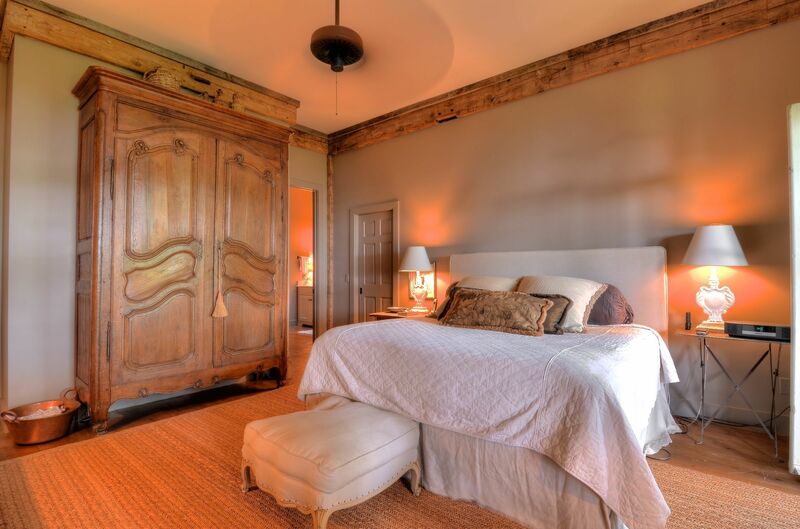 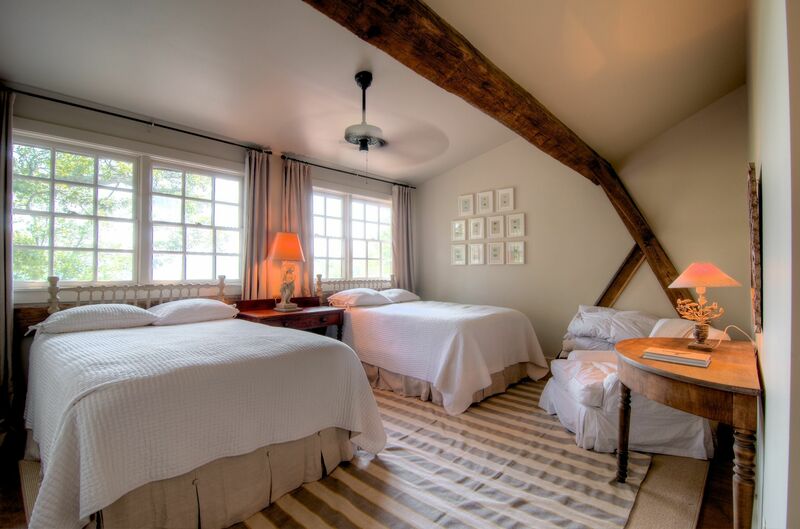 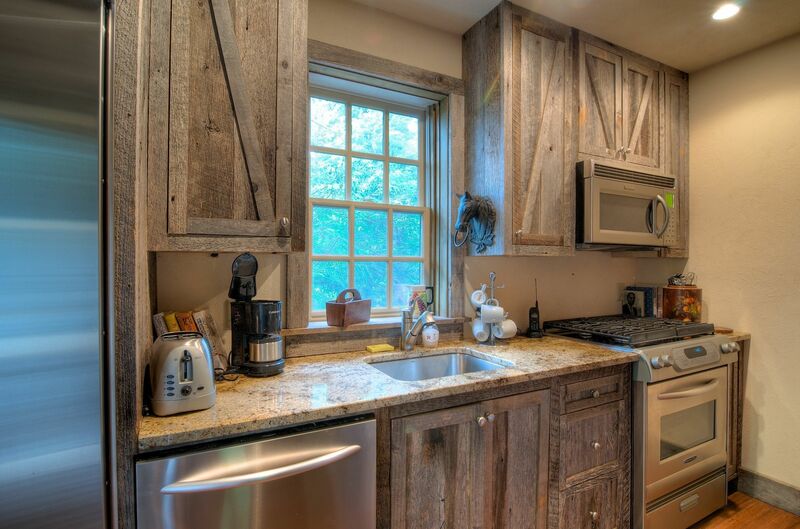 Here, floor to ceiling wood cabinetry is complimented by the antique barn beams and crafted flooring. 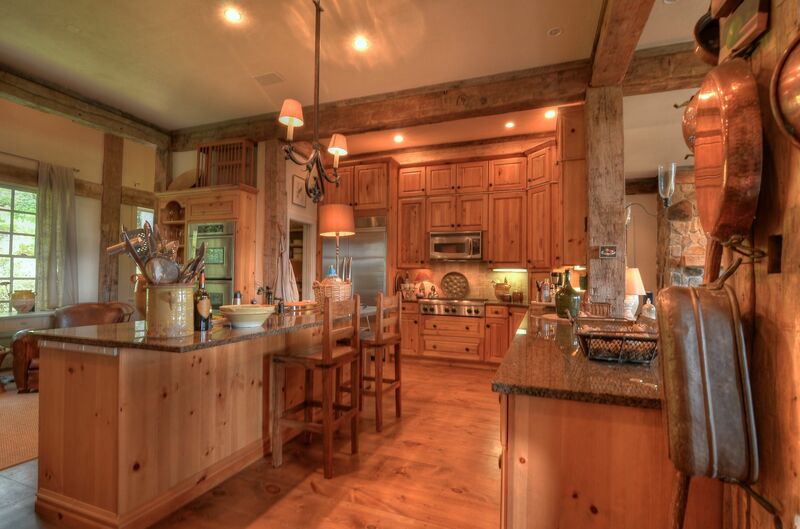 The kitchen boasts a lovely seating area with yet another fireplace because everyone always gathers in the kitchen to supervise and enjoy the company of the cook! 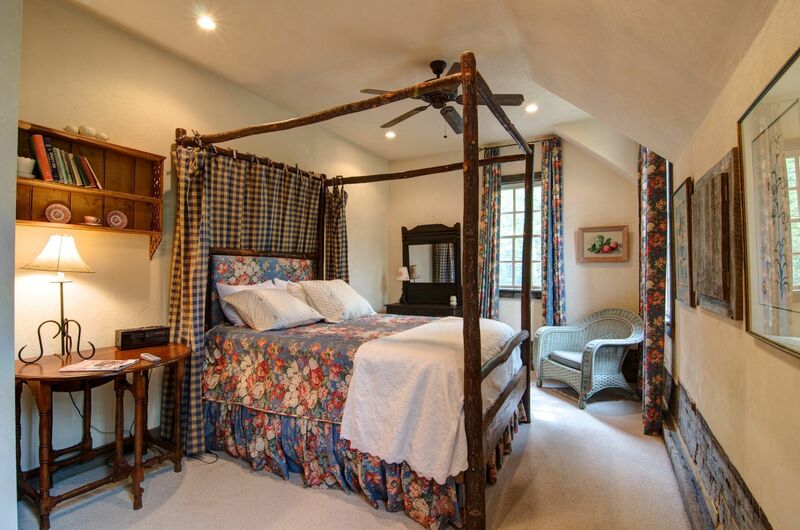 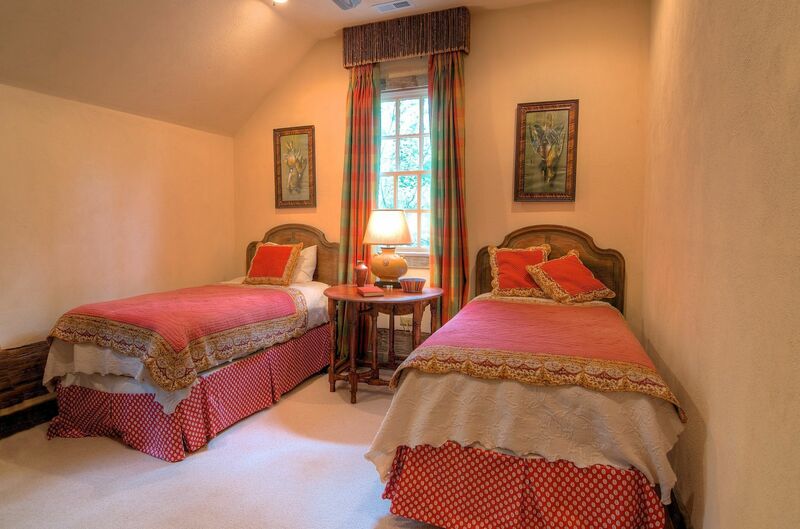 In the master bedroom two Palladian windows offer light, great views and access to a private screened porch. 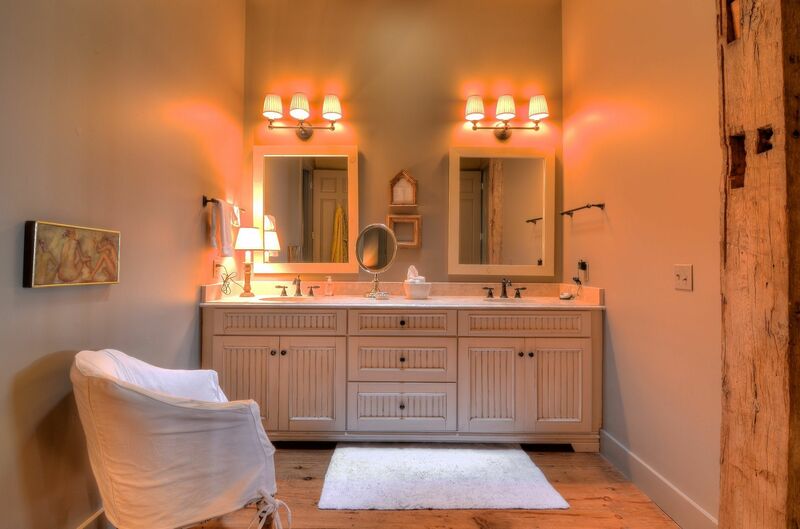 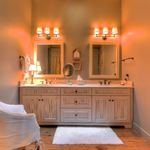 The master not only has his and her closets but a private laundry and a sumptuous bath. 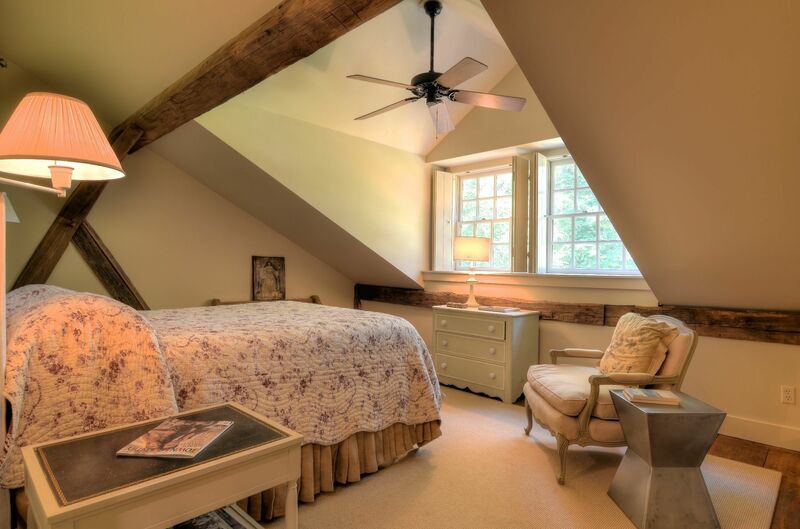 Upstairs there are three guest suites plus a large family room with a lovely window seat ideal for a mid-afternoon nap. 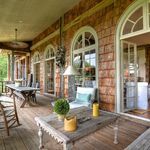 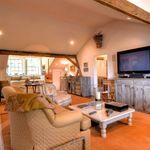 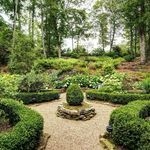 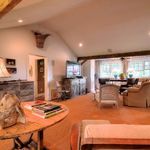 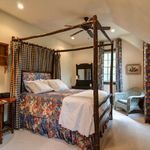 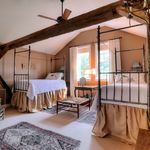 Each room upstairs exposes elements of the barn structure and look down on the front gardens as well to the rolling back yard with its pathways and pond. 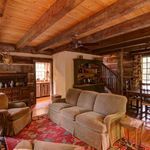 On the lower level you will find a family room a second family room with fireplace plus the laundry room and an additional guest suite which could serve as an office. 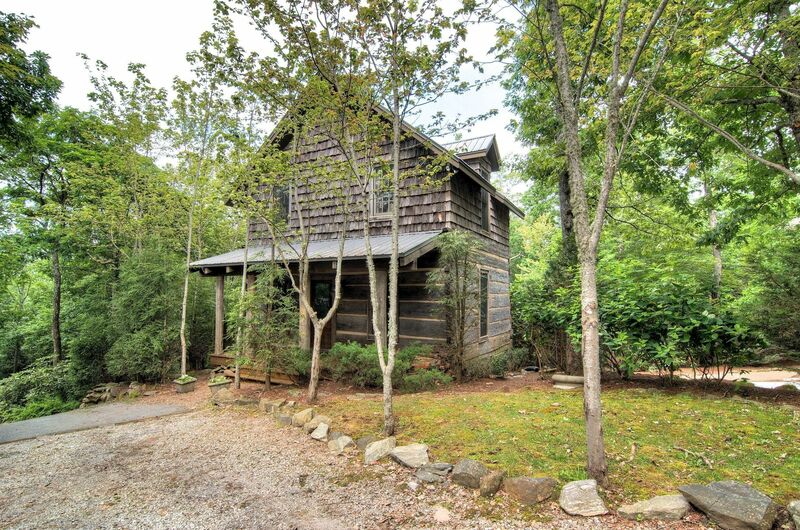 A detached Log Guest House with rocking chair front porch is adjacent to the main house. 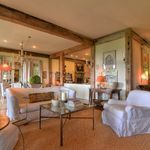 This charming retreat offers a fireside living room and fully equipped kitchen and powder room on the main floor. 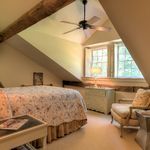 Upstairs are two bedrooms both with beamed vaulted ceilings, plus a full bath and stack laundry. 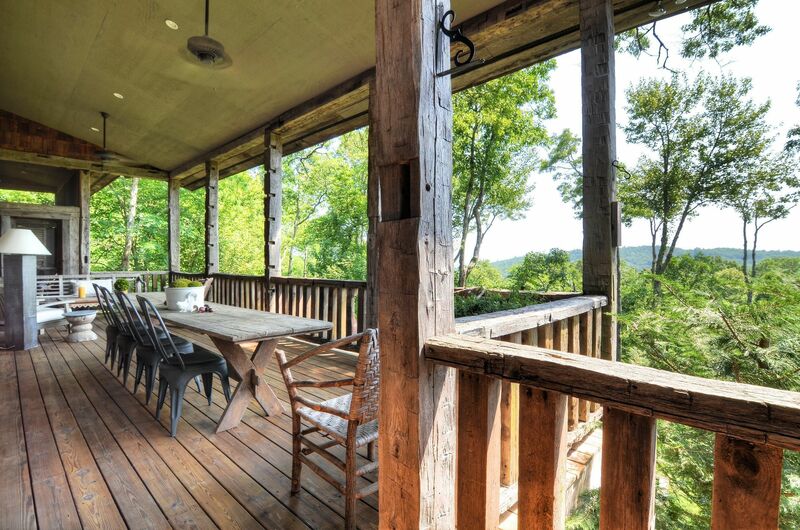 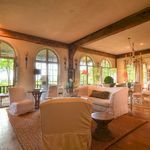 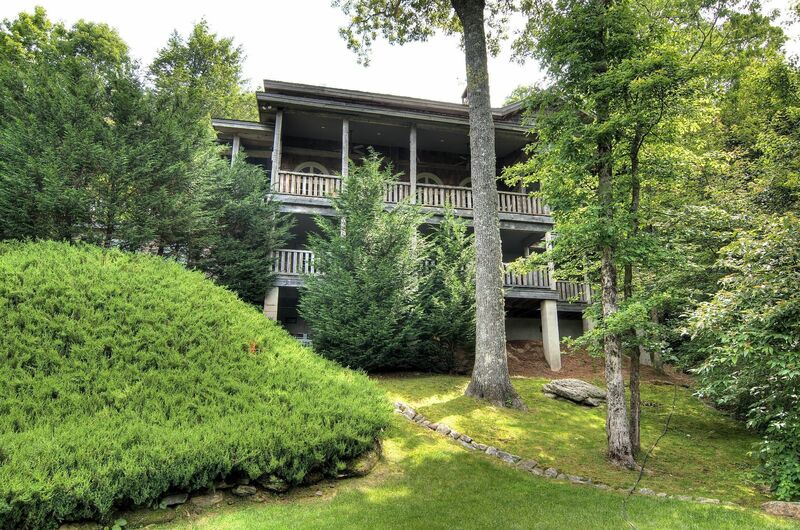 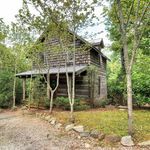 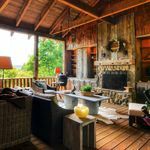 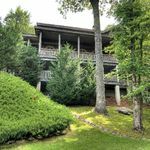 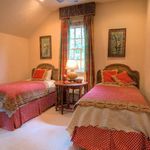 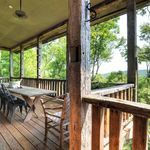 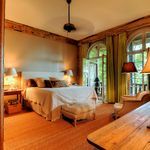 With everything you would want in a mountain home and just minutes from all that Highlands has to offer, this amazing retreat can be enjoyed by a couple or is large enough for an extended family or a gathering of friends.